Telemarketing Executive Jobs in Mumbai | Motilal Oswal Securities Walkin Drive | 19th April 2017. 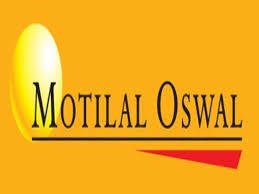 Motilal Oswal Walkin Jobs in Mumbai for Telecalling, Telemarketing Executive positions. Candidates who had completed their Graduation can grab this golden opportunity on or before the last date. Interested contenders must check the below given data like Candidate Profile, Requirements etc. Those who are interested in attending Motilal Oswal Recruitment 2017, they can download Placement Papers as well as Test Pattern of Motilal for better preparation. Interested Candidates can directly attend the drive at the below mentioned venue. Will be responsible for opening trading and D-mat account over the phone and email. Keep self updated with market knowledge. Fresher or minimum 6 months of experience from the sales background. Preferably from the stock market. Candidate should be comfortable with selling the product on online i.e. on Phone. Applicants can attend for the walkin drive for Motilal Oswal Securities Recruitment 2017 which is held in Mumbai on 19th April 2017. Here in this post, we are provided the sufficient details like Walkin Date, Time, and Venue. So candidates who are interested they can directly attend for the below mentioned venue. Here is the exact place to search the accurate Details about Motilal Oswal Securities Walkins Recruitment in Mumbai. This page will give the clear idea for your job search. Keep visiting All India Jobs for more regular Job Updates.